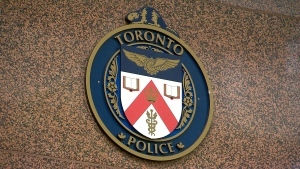 A total of 670 drivers were charged over the course of a week-long campaign distracted driving campaign by Toronto police. Between Jan. 14 and Jan. 20, officers held a “zero tolerance” policy as they combed through the downtown core for drivers not paying attention while behind the wheel. As part of the effort, officers on foot, bicycles and in unmarked police cars patrolled the city’s downtown core seeking out drivers distracted by cellphones or otherwise. In some cases, officers rode TTC buses and streetcars to be on the lookout for distracted drivers. The blitz resulted in charges against 670 drivers. “Driving while holding a cell phone happens far too often, we all see people doing it,” police wrote in a news release on Tuesday. The campaign coincided with a road safety blitz that saw drivers who blocked downtown rush hour routes or were caught stopped in curb lanes get towed or fined.